... Hello? Is this microphone working? Greetings to those of you who are either professional, intermediate or beginning voice actors. I’m Linda Lee, aka Tennisbabe, and I’m here to tell you something that’s really, really cool. I am going to tell you that you can form your own voice-over workshops, for practicing your voice-over skills, before ever actually getting booked for a voice-over job. 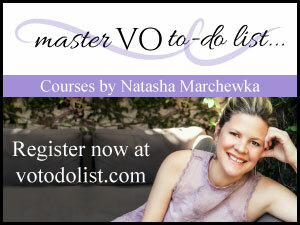 You just need a little this and that, and then badabing badaboom, there it is, your own voice-over workshop! Just kidding. The process is a little bit more than just badabing badaboom. There are a few things that you need to know and do before starting the workshops. First you need a moderator who has the commitment to put in the time and energy to coordinate the workshops and keep them going regularly. The position of a moderator is usually voluntary, because it’s not an actual studio job. Two people can also share this position, if your workshops are always overbooked, or if your way of preparing for a workshop takes a lot of time and man or womanpower - or if somebody in your group has a thicker Rolodex than you. In my own case, I moderate a Women In Animation Voice Over Group, so I can learn more about voice-over and meet other voice-over artists. Once you have decided who’s the moderator of your voice-over group, the next thing you need to do is to gather members. You can probably start with a small group of 5-10 and then promote your group to more and more people, as your group becomes more solid. After you have a group of people who are committed to attending the workshops regularly (or somewhat regularly), you’re ready to search for a workshop location. There are a few things you might want to consider when choosing a location for your workshops. If you want to do more than just practice voice-over and actually record a script for a demo cut, audition or project, then having a studio would be important. But keep in mind that soundtracks may be produced differently from studio to studio. This is important because some studios do not produce the best soundtracks for job-searching demo reels. Also, in my experience, the coaches and directors’ tips are recorded into the workshop soundtracks, and the other workshop members’ voices will be on the soundtrack, too. So these soundtracks would require a lot of editing in order to use your work alone on a demo reel. 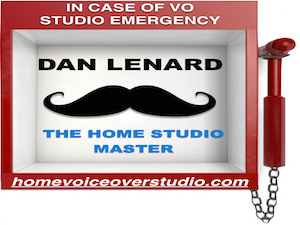 But if the purpose of forming a voice-over workshop is just to let actors practice their VO skills, then maybe having the workshops at an actual studio is not all important - it may be just a formality to do the workshops inside an actual studio. The next thing is to consider the type of voice-over workshops you and the group want. For instance, you might focus on animation like The Simpsons, TV or radio commercials, audiobooks or dubbing - often used for films or TV shows from foreign countries (versus ADR or automated dialogue replacement, which is dialogue replaced in the original language). The best examples of dubbing are the Animes from Japan. Animes are Japanese cartoons like Pokemon and Naruto. These cartoons are originally recorded in Japanese, so the studios have to translate the scripts for an American audience and record over the original dialogue with the American-speaking, voice-over cast. The equipment for ADR or dubbing studios usually includes microphones, speakers, soft padding for sound quality, and TV monitors for the actors to see the cartoons or films while they record. If your workshops are purely for practicing purposes, and you don’t really care about the sound quality of your workshop soundtracks, then maybe someone’s living room would work. A lot of recordings are now done via computers. Some people connect a microphone to their desktops, and some use the built-in speakers and microphones on their laptops. If your desktop or laptops are located in a quiet room, then the quality of the recordings shouldn’t be too bad. I recorded some of my own voice-overs with my Macbook, and the result is not too shabby. The last, but not least, thing about searching for a workshop location is money. 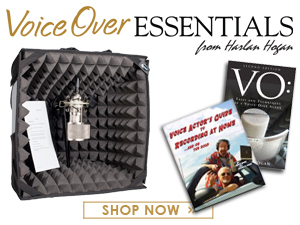 You can either form your workshop at your home studio or a professional studio, depending upon how much money you and your VO group members are willing to spend. I usually charge no more than $20 for the workshops that I organize, because I’m part of an organization and the studio owner requests that we pay for space and services (including an engineer). Finally, consider the type of city you live in. If you’re in a big city like Los Angeles or New York, some of the studios might be a little bit more expensive than others. If you’re in a small town, then maybe the studios are a little cheaper. There are many resources for finding studios, recording equipment, and directors or teachers. These resources, for instance, include the directories at web sites like VoiceOverXtra and Voice Over Directory. Good luck, and have lots of fun! 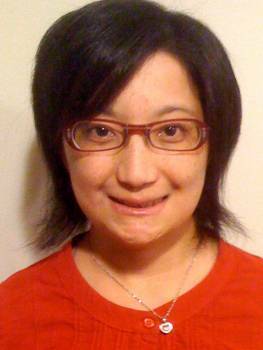 A relative newcomer to voice-overs, Linda Lee is an indepedent multimedia artist and graduate of Cal State LA, with a BA in Art/Graphic Design. She creates animation scripts and storyboards with animation software, and also creates online greeting cards. I'd like to see some articles by accomplished voicers, i.e. Tress MacNeill, Alex Borofsky, Chistina Pickles, Andre Stojka, Doug Gotchman, Gary Owens ... people who are making a living at this craft.